Volker Lofts is located where Wazee Street crosses the Cherry Creek in historic Lower Downtown Denver (LoDo). The convenient location is within easy walking distance from an array of restaurants, pubs, museums, and cultural performances. With only 12 lofts, Volker is one of the smaller loft buildings in Lodo and offers privacy and unobstructed mountain, creek and city views from most of the loft residences. 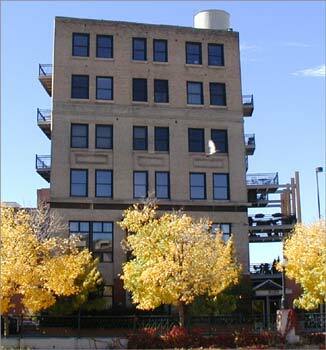 In the early 1990's the building was acquired and in 1992 converted to residential lofts. Features of the historic loft building include heavy timber beams throughout, original brick walls and hardwood floors.